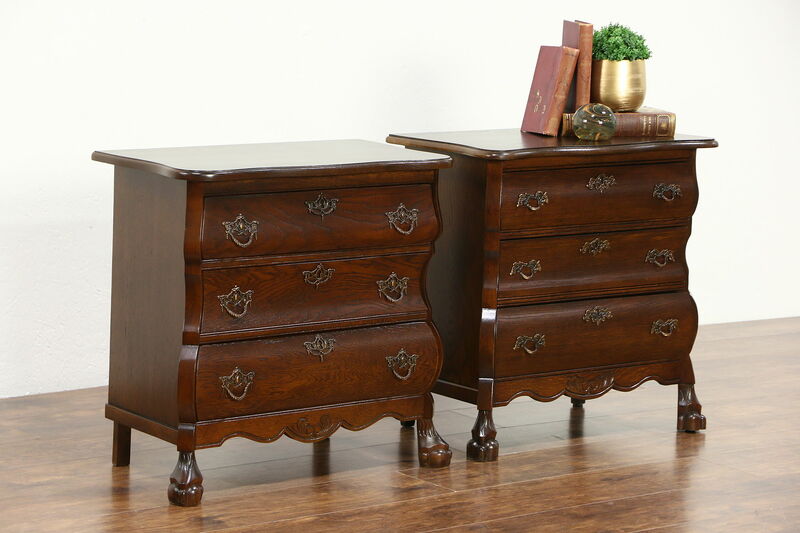 A near pair of traditional oak nightstands, chests or end tables were made in Holland in the 1960's. The renewed finish is in excellent condition on this Dutch vintage furniture. Interestingly, the size and convex or "bombe" shape of both chests is the same, but there are small differences in the carved claw and ball feet, hardware, etc., see photos. Measurements are 26" wide, 14" deep and 25" tall.